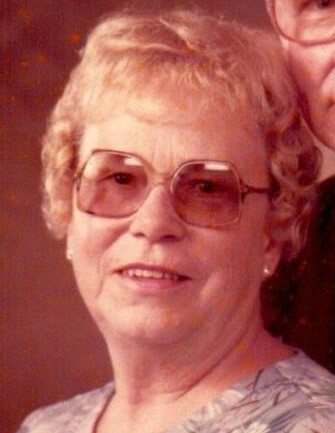 Margaret Riley, 99 of Gurnee, passed away on Friday, March 29, 2019 at Rolling Hills Manor in Zion. She was born on December 11, 1919 to the late Wilham and Bertha Moeller in the Town of Maine, IL. On May, 4 1957 she married Joseph Riley, he preceded her in death on August 5, 2016. She was a member of Immanuel Lutheran Church in Waukegan, where she belonged to the Ladies Aid Society and Alter Guild. She enjoyed wintering in Arizona as well as traveling, but her love for her family was her favorite activity. Margaret is survived by her children, Betty (Jim) Svehla, Raymond (Linda) Tistle, Jerry (Darlene) Tistle, and Ronnie (Jill) Riley, 12 grandchildren, 19 great grandchildren, 7 great great grandchildren, and her sister Mildred Sheen. She was preceded in death by her husband Joseph, her parents, her son Tommy Riley, 4 brothers and 1 sister. Visitation will be from 10:00 to 11:.00 a.m. on Monday, April 8, 2019 at Immanuel Lutheran Church located at 1310 N. Frolic Ave. Waukegan IL 60085. The Funeral Service will follow at 11:00 a.m. Rev. Steven Radunzel will officiate.